With the majority of call traffic moving to mobile, it has been more and more difficult to know who is calling before answering. With PredictiveCaller's ability to associate a name and address to that caller, everything from CRM screen population to customized scripting is now possible. After identifying, we overlay hundreds of data points to build a complete profile of that potential customer. This profile including data such as credit, home ownership, purchasing habits is used for better insight on the caller. 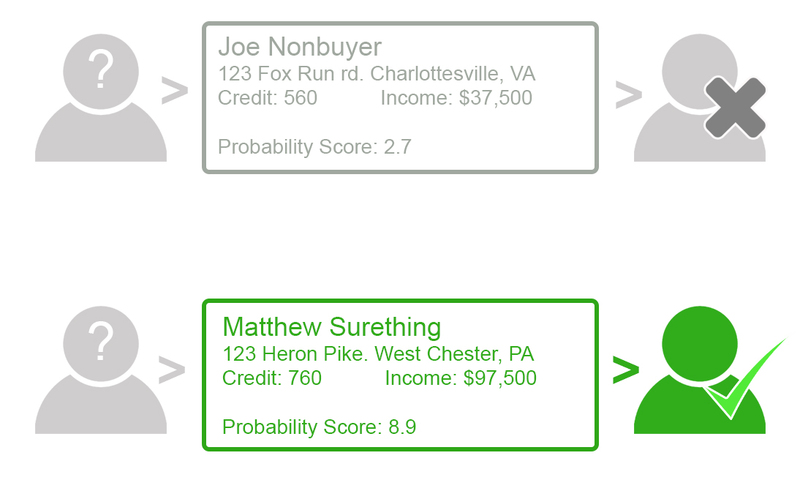 With a complete profile, PredictiveCaller can now apply custom predictive models to identify those callers with a higher probability to meet conversion goals. Our Intelligent Routing prioritizes the more valuable callers along with the best call center or agent to receive call. Which caller is more valuable to your business? Create valuable customer insight before your first contact. The main focus of call centers and those that utilize them, has always been to maximize the performance of their agents based on their ability to monetize the conversion of phone calls to sales. Hundreds of thousands of dollars have been spent in the quest for perfect agent tracking and optimization, with little to no in-depth focus on the caller. It has been difficult at best to validate if a caller is a viable prospect before allocating call center resources, until now. PredictiveCaller leverages its ability to identify and append data to create a complete caller profile and the probability of conversion before it ever reaches an agent. Utilizing our custom predictive models, businesses can prioritize which call is most likely to purchase their products and services. Everyone is different; this is true for prospects and agents alike. In addition to identifying those calls with the highest value, our Intelligent Routing platform can map any call center and agent performance with previous caller profiles. This allows for the perfect pairing, most likely resulting in a sales conversion. This represents a high level overview of the different types of data used to identify and evaluate inbound phone calls. Our data resources allow for over 1,000 data elements to be leveraged in our processes. Predictive Caller is the premier provider for realtime analytics and decisioning for inbound marketing and sales calls prior to agent or IVR interaction. Through the aggregation and development of hundreds of data points we identify callers via phone number, create a profile and provide decisioning result that best achieve our customers goals.